What an experience!! 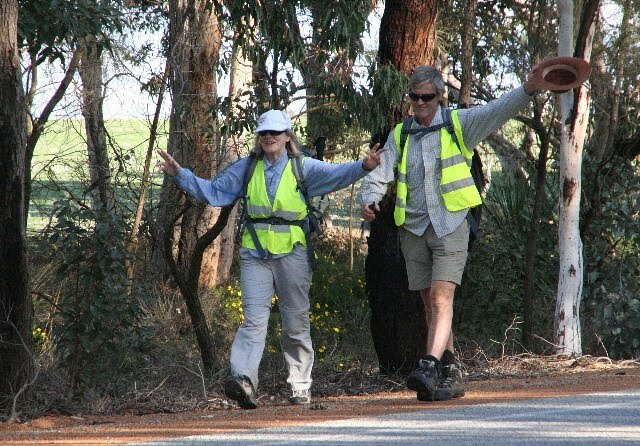 Maggie and I, along with 25 other walkers have just completed the walk from Subiaco to New Norcia. To say the scenery was spectacular is an understatement! Once we'd got over our tired feet, we went back with Colin Ingram our talented trails consultant, to review the trail so far: he's very impressed. A big breakthrough was to bus walkers for the last day from the Highway, inland 10ks to Old Plains road and walk to New Norcia that way: instead of trucks and road trains, we met one car in 4 hours and the views were stunning with the Canola crops a blazing yellow all around! Colin and I both agree that the race is on the re-align the last couple of days with the view of finishing via Old Plains road. 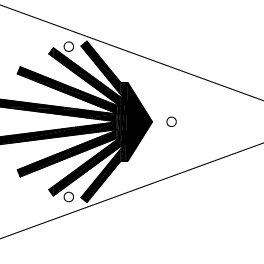 If any of you have any insights or suggestions, we would be very happy to hear from you. Another groups from St Josephs Church is due to leave in a couple of weeks and the scene will have changed as the Canola will be cropped and the cereal crops more advanced, so nothing stands still in nature. 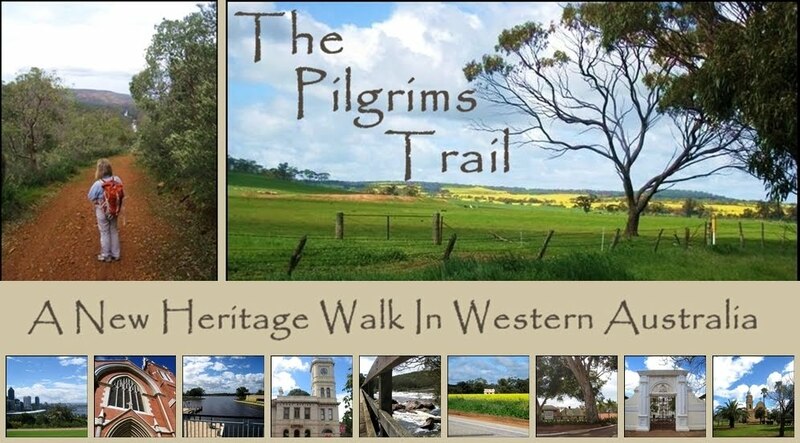 Walking the whole trail reminded me that we have so many stories to tell along the route: the adventures of Dom Salvado as he set out to establish the New Norcia Mission: his work with the indigenous peoples: the stories of the Nungyar people in Walyungar: the story of the Swan river and the Swan River Colony!! This trail will be such a treasure for the whole of Australia. There are other ventures that we are investigating to complement the trail, so watch this space!